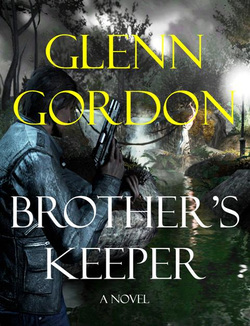 Author Glenn Gordon grew up with three brothers - four boys born in a five year span. They had a lot of adventures. We're talking A LOT. They moved to Seattle in 1971, but two years later his folks bought a 9-room travelers' inn and cafe in the Turks and Caicos Islands. More adventures ensued. These involving big fish and deep water grottos and cute tourist girls. Sweet! But he could only do that for three months each summer because he was in college at the University of Washington (Go Dawgs!) where he had so many adventures it'd scare you. And make you jealous. He studied Norwegian and comparative religion (not kidding), dropped out, got married, sold shoes, re-upped at the U-Dub, got a degree in English and a license to teach. So he did that for a chunk of years in coastal Westport and farmy Wenatchee, had two daughters - Meghan and Kylene - then resettled just east of Seattle. He odd-jobbed, got divorced, found out he had an older half-sister, then began a career in textbooks with a couple of the gigantor-publishers. For the past 15 years he's been training K-8 teachers how to be better K-8 teachers through the judicious use of his company's materials. He's good at it and he travels a lot. He married a way cool woman named Nancy (and she's cute to boot). He has a dozen friends that he's known more than 30 years. 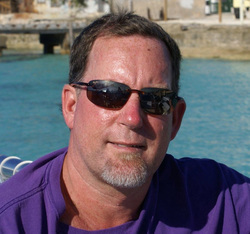 He drinks spectacular NW craft beers and wines, and he likes to grill. His grandkids are named Jaxon and Ava. They’re amazing people, though small. He reads insatiably. Lee Child, Barry Eisler, Jeffrey Deaver, Robert B. Parker, John Sanford, Randy Wayne White, Greg Rucka, Robert Ferrigno, James Lee Burke. South African novelist Wilbur Smith. And lots of others. And he writes. Has his whole life. Pages and pages, chapters and chapters. And a few complete books that don't really count. The books that DO count are his Mack Fraser suspense thrillers, debuting with Brother's Keeper, and continuing soon with The Ferryman's Wake. Well, relatively soon. They're set in Seattle, and according to his loyal readership, they portray the city as only a long time resident could. And his characters are wicked awesome. Seriously. At least that's what people tell him. And for that we'll give him two thumbs up. Against police advice Mack sets out to uncover the dead man’s buried past, a shadowy trail that leads from San Francisco to the Chicago underworld and eventually to the murky forests of Washington’s Olympic Peninsula, the perfect place for hiding secrets. He’s a tortured man in pursuit of answers, unaware that others are equally invested in a similar quest, but for reasons far more sinister. And it’s only a matter of time before their tactics turn violent. Mack soon finds himself the prime suspect in not only his brother’s murder, but the vicious deaths of a dozen others. And the evidence against him continues to mount.